Happy Chinese New Year - 2018 is the Year of the Dog! A Dog’s most defining characteristic is their loyalty. They will never abandon their friends, family or work. Honest and just, they are popular in social circles. Everyone needs a Dog friend for advice and help. They are also good at helping others find and fix their bad habits. Despite how they act, they are worried and anxious inside. However, they will not let this stop them. Once they decide on something, no one can persuade them against it. Let's work hard to embody such characteristics! Additionally, we have several events I’d like to get on your radar, including performances, competitions, and shows. And as always, from seminars, to competitions, demo’s and other activities, you won’t want to miss out on the action at CMAA! Kids Kickboxing- New Class Offering! CMAA will be closed Monday, 2/19 for Presidents day. Kids Sanda (KickBoxing) (Ages 8-12) - Starting this March (Tuesday, 3/6/18). CMAA has developed a specific program for Kids Kungfu Kickboxing (Sanda)! Kungfu Kickboxing (Sanda) is a modern sport which combines striking with wrestling. We believe in making martial arts fun, safe and practical! Please note that as of Tuesday, March 6th, CMAA will be suspending our Tuesday evening Tai Chi Class (6:10-6:55). 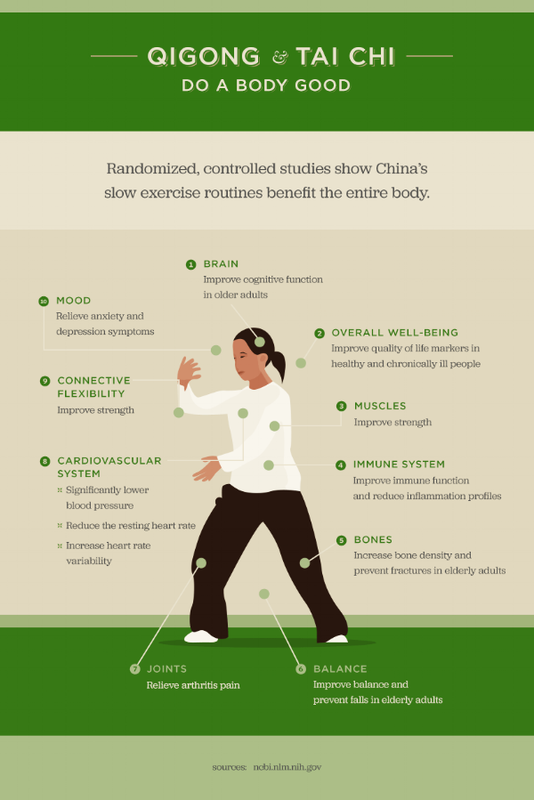 Please check out the link below to see another interesting short video from WebMD describing the various benefits of practicing Tai Chi! It’s that time of year again- Chinese New Year Performances! Come see your teammates in action, showcasing their amazing martial arts to celebrate traditional Chinese culture as part of the Lunar New Year! Sat, Feb 17 Clifton Park Public Library, 1pm. Sat, Feb 17 East Greenbush YMCA, 5pm. Sun, Feb 18 The Egg, 1pm. Ticketing info for The Egg! For the Chinese New Year performance, all students ranked light brown and above are qualified to participate. It’s a special opportunity to work with your team to put on an exciting performance, showcasing a spectacular aspect of Chinese culture in our local community, with the amazing stage, backdrop and production at The Egg! If you’re interested in participating, speak with Shifu about which performance would be most appropriate. Aside, from The Egg’s Chinese New Year celebration, we do several other performances throughout the year, which may be appropriate for kids are different sash ranks. A picture is worth a thousand words. These guys came in to demonstrate all that they have been working toward. From our newest students to our most senior ranked students to test, I was equally impressed with their efforts. What a great group! Kungfu is a part of my life – and health – in a way I never anticipated it would be. I am living proof that no matter where or how we start, the important thing is to just keep showing up and learning. Moving with purpose: with your mind, body and spirit together, brings a health and wellness that is a priceless reward.